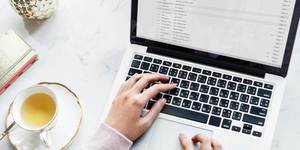 If you’re a blogger like me, or are thinking of becoming one, you probably know how important a blog is to your internet marketing strategy. You know you want to be writing and publishing a lot of blog posts. That way you can build up traffic, fine-tune your SEO, generate trust and authority. And eventually collect lots of emails, and start earning commissions through affiliate marketing. But writing and publishing posts on your blog can be time consuming. A lot of people actually go about it the wrong way, which makes it take even longer. 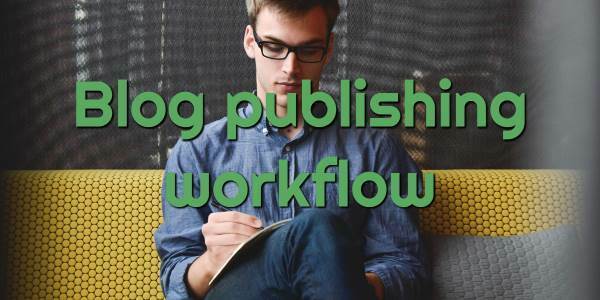 Luckily I’ve come up with a blog writing workflow that makes it go a lot faster and smoother. I’ll explain my content production workflow and how it lets me write and publish a good blog post in under an hour. You first need to fire up all your tools. I do everything in the Chrome browser and I recommend you do too. If you really want to use another browser, you can but your keyboard shortcuts might be different. If your browser doesn’t support the shortcuts I’ll be talking about, change to one that does. Keyboard shortcuts are essential for working quickly and efficiently. You want to be using your mouse as little as possible, because it is slow as hell compared to the keyboard. And in the long term it can wear out the nerves in your wrist and cause carpal tunnel syndrome. Which is probably not fun. I’m assuming you know and use all the basic editing shortcuts like Ctrl-A / Ctrl-X / Ctrl-C / Ctrl-V (for select all, cut, copy, paste), shift up and down, shift page up and down, shift home and end, etc. The really important ones for this workflow are the Chrome ones. Control-T for open new tab, Control-W for close tab, and the really important ones: Control-Page Up for cycle back one tab and Control-Page Down for cycle forward one tab (Control Tab cycles forward also). These are life-savers. You will be opening tabs and jumping around so use these as much as you can. If you really want to stay away from the mouse, you can also access in-page navigation items with Control F for Find, then type in the link or button you want to jump to, and click Escape to leave Find and select it. Then you can just hit Enter. Neat. The tools I use are very simple: Google Sheets, Google Docs, a text editor, the WordPress Editor, and an online image browser / editor. That’s about it. Open them all up in Chrome (except the text editor, you don’t need that yet). You should have your content plan in Google Sheets so start there. If you don’t have a content plan, stop all of this and create a content plan. It is literally the most important thing for a blog and you will definitely fail without one. Go to your content plan and choose a topic. If you have already decided on one, that’s fine. Either way, mark it as in progress (put it in bold or whatever) so you know what you’re working on if you have to abandon the article halfway through. Now do NOT go to the WordPress editor. That is a bad and buggy tool that will cause you grief. It is the last step in the workflow process, not the first. I instead write all my articles in Google Docs. There are several reasons why. You will always have a big backup of your articles in case your WordPress database gets trashed or something. So switch tabs to Google Docs, put in your heading. It’s time to write. It is really important to have the right mindset when writing your blog post. Most people start writing with the mindset of “What do I want to say about this topic?”. This is plain wrong. You want instead to have the mindset of “What questions do my readers have about this topic?”. Think about your audience. Think about what they are struggling with. Think about what questions they might have. Think about how you could help them. This is the mindset you need to adopt when writing your post. These questions will form the outline, i.e. your subheadings. Another big mistake people make is that they start writing by just writing. They write the introduction and just go from there. This is wrong. Start instead by writing your sub-headings. These are your Heading 2s in WordPress (<h2> in HTML). These should be big questions your readers probably have about the topic – or answers to those questions. I prefer to leave most of them as questions. Then I can fill in the next level of headings if I need to. And those might be Heading 3s. Don’t bother actually changing them to heading 2 or whatever in Google docs, just leave it all as text. We are going to strip all the formatting soon anyway. OK now finally it is time to get writing! It might seem like we’ve been wasting time but we haven’t. You have all the tools you need, you have your headings and your structure, now it is time to get writing. And this is actually the easiest bit. I like to put some music on and get a cup of coffee but it’s all up to you. Make sure you have a decent typing speed. This can be a big difference. Ideally you want to be able to type at 70 or more words per minute (WPM) with high accuracy. I can type at about 85 but I would like to get it higher. This is one of those “how long is a piece of string?” things. Obviously, a longer blog post is better. Because it answers more questions, provides more value, and most importantly, will rank higher in Google. Personally I try to make sure every article I publish is 1,000 words long, though I try and get them to be more in the 1500 – 2000 range. When you’re starting off, I think it’s a good idea to just put out lots of articles, and if they are 1000 words long, that’s ok. Over time, I recommend publishing less frequently but longer and better articles. At some point you should write an “Ultimate Guide” type article in the 5K – 15K word count range. That will really get you some traffic and exposure. But that is a whole topic in itself. An optional advanced step is to include LSI (Latent Semantic Indexing) keywords to your article. These are basically words and phrases that are related to your topic. Google’s algorithm looks at these to understand and classify your content. Go to an LSI tool like LSI Graph (lsigraph.com) and put in your article keyword. Not the whole title, just a keyword. For example, I put in “blog workflow” for this article. It will give you 10 or 20 phrases related to this topic. Go and sprinkle them throughout your article. Don’t do it if it makes the writing seem strange or unnatural though. You also want images for your post. I always aim for at least two images: a Featured Image (this is really important) and some other related image. A lot of people use Canva for this step. I don’t actually love Canva because it makes you pay for a lot of the photos there (on the free plan at least). I have a lifetime membership to a website called Stencil, and they have lots of stock photos to use for free. So I do a photo search for a photo related to my keyword to use for my feature image. Try to make it a bit interesting and fun. For example, I published an article on why I switched my email autoresponder from Mailchimp to GetResponse. Instead of a feature image of someone checking their email on a computer or phone, like everybody else would, I searched for chimp! I found a cute photo of two chimpanees, and that’s what I used. An unusual or fun photo like that will stand out a lot more. Leon’s pro tip: the human mind is drawn automatically to pictures of faces, especially human faces. And especially eyes in faces. If you have a choice, and it isn’t unnatural, try to choose an image with a human face. People will look at it more than images of places, objects, and so on. Now use Canva or Stencil or whatever to put some text on the image. I usually do the article title or the abbreviation of the article title. You want this to stand out and catch people’s eyes. If you are using a human face, try not to cover the face too much with the text. Save the image to your computer. Now search for another image related to your topic and save it (you don’t need to put text on it). You can do that a few more times if you want; images help break up text. The longer the article, the more images you should include. We are getting close to publishing the article. Jump to Google Docs, select and copy all the text. We want to “wash” the text through an editor like Notepad before pasting it into WordPress. That’s because Google Docs puts invisible formatting tags on your article paragraphs that will be copied through to the WordPress editor (look at it in Text view in WordPress and you’ll see what I mean: <span> tags with inline style formatting everywhere, yuck). Past it into Notepad, then select all and copy it and paste it into the WordPress editor. Put the title of the article into WordPress and click Save Draft. Now it’s time for a final check and polish. Don’t preview it yet, the styling and images could throw the formatting off. Put in the Heading 2 and Heading 3 levels into the article. I wouldn’t go past Heading level 3. I’m pretty sure Google ignores them and they shouldn’t be necessary. I use the Grammarly Chrome plugin – it automatically highlights not just spelling mistakes but grammar mistakes too. Fix them all up. Go through the article from top to bottom. Try to break long sentences into shorter ones. Try to break long paragraphs into shorter ones. Each paragraph should express one and only one idea. If it is expressing many ideas, it should be broken apart. See how those last few paragraphs each included only one idea? Neat. Add some external (to other websites) and internal (to your own website) links throughout your post. Aim for two or three of each. Set your featured image for the article. Insert your other image (or images) and set them to be align left or align right (check Preview to see how they look). Don’t forget to set alt tags on the images (I wrote an introduction to SEO if you’re not sure what this means). Then it’s time to publish! Click the button, check the page. Grab the URL and paste it into your content plan so it is marked as done and you have a repository of your links. Well, that’s my blogging workflow for writing and publishing a blog post! I use it all the time, including when I was writing this article. I can do a 1000 word article in about an hour, including everything. I hope you found it helpful. If you have any questions or ideas, please leave them in the comments below!